13 Simple Secrets To Get More Views on YouTube in 2019! The number one reason why getting a a lot of views on YouTube is difficult is that the competition is huge. There are millions of YouTube users with the same goal as you! What this means is that in order to make your videos stand out, you will need to invest plenty of time and energy! Some people feel that there are certain ways of boosting the viewership through “black hat” methods. By using certain shady ways, you might be able to get more views on your videos. But, is it worth the risk of getting banned? If you do a Google search on best ways to get more views on YouTube videos you will see that there are many sites that offer instant views, of course, for quite a lot of money in return. These sites use bots to boost the views of your videos, but that’s not a worthwhile solution. In fact, that means that you won’t get real people to watch your content. But, that’s not the only problem with this method – you can also get sanctioned by YouTube for using it. YouTube is getting better and better in bot detection, so the chances are high that they’ll spot that you’re using views generating service. Some people might argue that getting fake views can help by making real users think that the video is really popular, thus deserving their attention. Unfortunately, that’s just not true! Why? Because YouTube algorithms are more focused on the behavior of the users, rather than the number of views! What this means is that in order to boost your videos’ rank on YouTube, the users need to watch entire videos, but also to engage in comments, share the videos, etc. 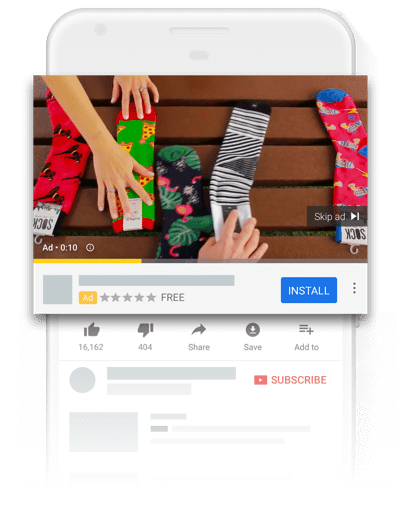 One of the easiest ways of gaining more views on YouTube, as well as more subscribers to your channel, is to run a paid advertising campaign on YouTube. This is done via AdWords and involves creating an ad that runs either before or alongside a video. The best thing about YouTube advertising is that you can have a total control of it. You can choose your budget, make your own ad video, but also target your audience. By focusing your ad campaign only on those who are interested in the topic of your channel, you can greatly improve your chances. You can also choose the demographics of your audience, that is, their age, gender, and even their location. Speaking of the location of potential viewers and subscribers, you should know that the ad campaign cost depends a lot on where your audience is based. For example, you will have to pay between 6 and 8 dollars per 1,000 views coming from the United States! It’s a similar case with the views coming from the UK, Canada, and so on. Simple: Just plug in URL of your YouTube video and you are good to go. Real: Views are real and legally paid for, not bots or farmed views. Proven to Work: Just visit their website and you will see many examples of successful campaigns. Using the right keywords can really help you with getting on top of the YouTube search page. In fact, this is one of the most important things every YouTuber needs to do to ensure the popularity of their videos. But, that’s not the only factor that you should take into consideration. You also need to make sure that the competition for those keywords is low by searching for them on YouTube! Otherwise, you won’t be able to beat your rivals. Once you’re done with the keyword research, it’s time to put them in the titles and descriptions of your videos! The whole point of titles is to be descriptive, yet concise. That’s not the case with video descriptions. You can use them to provide additional information about your videos and engage the users to comment and/or check out other videos on your channel. Another way to improve the ranking of your videos is to use the YouTube video tags. The whole point of tags is to explain what the content of your video is all about. Keyword-rich tags will provide the search algorithm with all the necessary information. By taking care of the channel art and logo, you will be able to make it more recognizable. This way, the viewers will be able to remember your channel easily. Apart from the logo and the channel art, you also need to pay attention to choosing the right name and tagline. Again, the key is to make it easily memorable, while also describing the point of the channel and chances of someone subscribing to your channel! Picking the right thumbnail image can make a real difference. Same as other graphic items related to your videos, the purpose of the thumbnail image is to make the users want to watch the video. The importance of a proper thumbnail image is even higher knowing that it is going to be shown in the suggested videos section and the organic search page. Furthermore, each time you embed the video on the social media, the thumbnail image will be presented to the potential viewers. This is one of the fastest ways to get views on your YouTube video. 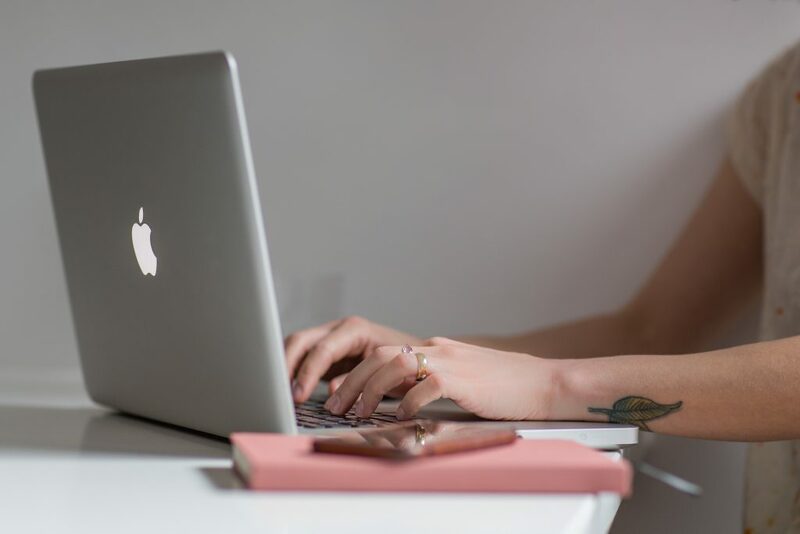 Although SEO experts are still arguing whether making transcripts of YouTube videos can increase the ranking on the search results page, there’s no reason not to try it. With closed captions, you will be able to attract a larger international audience. If a person is not as proficient in English to understand everything that you’re saying in the video, a transcript will certainly come in handy for them. Using end screens is a good way of boosting your views for free. Basically, what you need to do is provide your viewers with more information about your channel, as well as inviting them to check out your other videos. End videos do not have a direct impact on your videos’ ranking on YouTube search page, but they will certainly add to a more professional look at your whole channel. YouTube partnerships have become a fairly common thing lately. That’s not a surprise given the fact that they can help the YouTubers get much more views, free of charge! The whole point of YouTube partnerships is sharing the viewership. By teaming up with another vlogger, you can double up your viewership easily. Of course, the number of new views, as well as the number of subscribers that a partnership can bring, is something that depends on a large number of factors. In order to get the most of the partnership, you need to pick the right partner. That YouTuber needs to have a similar number of followers as you, deal with a similar subject, and share similar work ethics as you. By creating a playlist, you will enable users to watch several of your videos in a row, without the need of doing anything. This is very convenient for the users but is also good for the YouTuber. Because it helps to boost the views on all the videos in the playlist! In order to make the list viral, you need to pick the videos wisely. In the best-case scenario, the list would contain the videos that, when put together, create a story. Basically, this means that each consequent video in the playlist must relate to the previous! Social media has been one of the main focuses of online marketers. It’s not only because a huge number of users are using sites like Facebook and Twitter, but also because content promotion is fairly simple. In fact, all you got to do is embed your YouTube videos on other social media platforms. Another advantage of cross-platform promotion is that it doesn’t have to cost much. Actually, you can do it for free! It’s true that each social media website offers paid advertising, but if you have enough followers on those sites, you can be sure your YouTube video will get enough attention. The whole point of influencer marketing is getting a user with a huge number of followers to promote your video. Of course, the things are not so simple. In order to get the most of the influencer marketing, you need to find a user who deals with a similar topic as you. On top of that, the user also needs to have a lot of real followers, who are ready to listen to their advice. Unfortunately, a user with a lot of influence on social media will probably be reluctant to promote your video for free. Offer to promote their videos for free as well, there will be always someone up for this! By responding to every user comment, you will be able to create a bond with your followers. This way, they will start thinking of you as their friend, not just another stranger who’s posing videos on YouTube. As a result, they will be glad to check out each new video your post! Another good thing about having conversations with the viewers is that it’ll give a signal to YouTube that your video actually holds a value. When it comes to YouTube’s algorithms, one of the key factors they pay attention to is the engagement of a video. What this basically means is that the more comments a video has, the better it will rank on YouTube’s search results page, as well as earning respect and being active in your community. Apart from responding to the comments below your videos, feel free to engage in conversations on other channels as well. This way, you will be able to make yourself noticed! To do that, you will need to comment on the topics you’re very familiar with, thus demonstrating your knowledge on the subject. If you manage to raise an interest in users about, they will probably want to check out your channel. Another good way to create a strong relationship with your followers is to communicate with them through live videos. You can use this YouTube’s feature to answer the questions of your viewers, thus getting them to know you a bit better. Make sure to check out our recommended cameras for live streaming. If they’re watching your live stream, it means that the users really appreciate what you’re doing. That’s why they won’t mind doing you a little favor. This concludes this article on how to get more views on YouTube without paying a dime. Don’t be discouraged if things don’t work out as you imagined, after all, only certain amount of people become big on YouTube, and you’ve got to outwork them if you want to earn your spot. Let me down in the comments if you have any suggestions or questions.